23-year old Japanese-American violinist Ryu Goto has established himself as a significant voice in classical music, with a large and growing public in Asia, North America and Europe. Ryu’s career began at age seven when he made his debut at the Pacific Music Festival in Sapporo, Japan, playing Paganini’s Violin Concerto No.1. 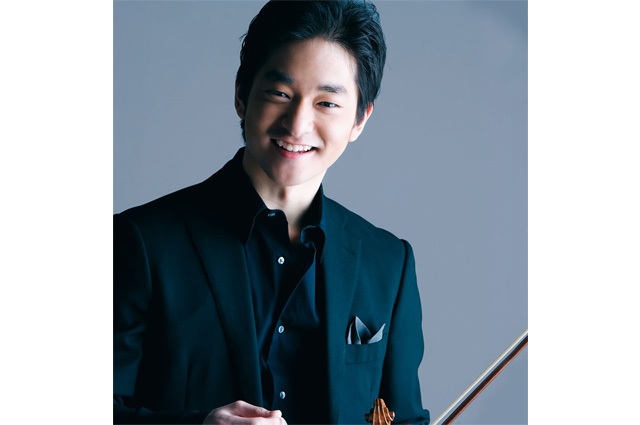 Since then, Ryu has appeared as a soloist with many of the world’s leading orchestras, ensembles including National Symphony Orchestra, London Philharmonic, Wiener Symphoniker, European Union Youth Orchestra, China Philharmonic Orchestra, Shanghai Symphony Orchestra and Orpheus Chamber Orchestra. He has worked with conductors including Lorin Maazel, Tan Dun, Vladimir Ashkenazy, Fabio Luisi, Myung-Whun Chung and Jonathan Nott. Ryu has already performed in such prestigious venues as Carnegie Hall, Kennedy Center, Tokyo Suntory Hall, Shanghai Grand Theater, Taipei National Concert Hall, Munich’s Herkulessaal and the Musikverein in Vienna. Ryu’s philanthropic work includes working with student musicians throughout the world, mentoring their development, conducting master classes in conjunction with the world’s top institutions. Efforts include the “Ryu Goto Excellence In Music Initiative Scholarship” with the NYC Department of Education, as well as collaborations with institutions like the Juilliard School and the Harvard Bach Society Orchestra. Ryu’s features in media are numerous including his own Fuji TV Show “Ryu Goto’s Odyssey,” a chronicle of his career and personal life from 1996-2006. He also serves as spokesperson for the East Japan Railway Company with regular coverage on TV, radio and in print.